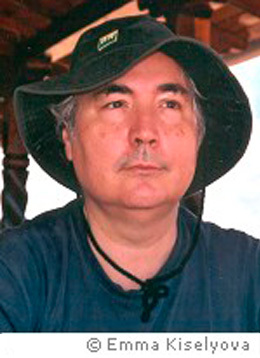 Manuel Castells is Professor of Sociology, Open University of Catalonia (UOC), in Barcelona. He is as well University Professor and the Wallis Annenberg Chair Professor of Communication Technology and Society at the Annenberg School of Communication, University of Southern California, Los Angeles. He is Professor Emeritus of Sociology, and Professor Emeritus of City and Regional Planning at the University of California, Berkeley, where he taught for 24 years. He is a fellow of St. John’s College, University of Cambridge. Professor Castells hold the chair of Network Society, Collège d’Études Mondiales, Paris. He was Assistant Professor of Sociology at the University of Paris, Associate Professor of Sociology at the School for Advanced Studies in Social Sciences, University of Paris (1967-1979), Professor and Director of the Institute of Sociology of New Technologies at the Autonomous University of Madrid (1988-1993), Research Professor on the Higher Council for Scientific Research (CSIC) in Barcelona (1997) and Professor of Sociology and of City and Regional Planning at the University of California, Berkeley (1979-2003). Between 2004 and 2010 he held multi-year appointments as Distinguished Visiting Professor at the Massachusetts Institute of Technology (2004-2009), at Oxford University (2007-2010) and at Santa Clara University (2008-2010) and at Cambridge University (2012-2014). From 2004 to 2010, he was Director of the Internet Interdisciplinary Institute, Open University of Catalonia. Since 2009 he is a permanent Visiting Fellow of the Stellenbosch Institute for Advanced Study, in South Africa from 2011. He has been a Visiting Professor in 17 universities around the world and invited lecturer at hundreds of academic and professional institutions in 45 countries. He has authored 26 books, including the trilogy "The Information Age: Economy, Society, and Culture", 1996-2003, published by Blackwell and translated in 23 languages. He has also co-authored and edited additional 22 books. He has received, among other distinctions, the Guggenheim Fellowship, 1982; the C. Wright Mills Award from the American Society for the Study of Social Problems, 1983; the Robert and Helen Lynd Award from the American Sociological Association, 1998; the Order of the Lion of Finland and the Order of Arts and Letters from the French Government, 2002; the Ithiel de Sola Pool Award from the American Political Science Association, 2004; the Order Gabriela Mistral from the President of Chile, 2005; the Order of Santiago from the President of Portugal and the Cross of St. Jordi from the Government of Catalonia, 2006; the National Prize of Sociology and Political Science from Spain, 2008; the Erasmus Medal of the Academia Europaea, 2011; the Holberg Prize 2012 from the Norwegian Government; Balzan Prize for Sociology from International Balzan Prize Foundation, in 2013; Eulalio Ferrer Prize and International Award UCLG - MEXICO City - Culture21, 2014. He has received Honorary Doctorates from 15 universities in Europe, North America, Latin America, and Asia as well as several honorary professorships and university medals. He is a numerary academician of the Spanish Royal Academy of Economics and Finance, an academic of the Academia Europea, of the British Academy, of the Mexican Academy of Sciences and of the American Academy of Political and Social Science. Among other distinguished appointments he was a member of the United Nations Secretary General´s Advisory Board on Information Technology and Global Development, and a member of the United Nations Secretary General´s Advisory Panel on the Global Civil Society. In 2005 he was appointed by the European Commission to be a founding member of the Scientific Council of the European Research Council. In 2008 he was appointed to the Governing Board of the new European Institute of Innovation and Technology (EIT) created by the European Union to stimulate the research cooperation between universities, business and society.